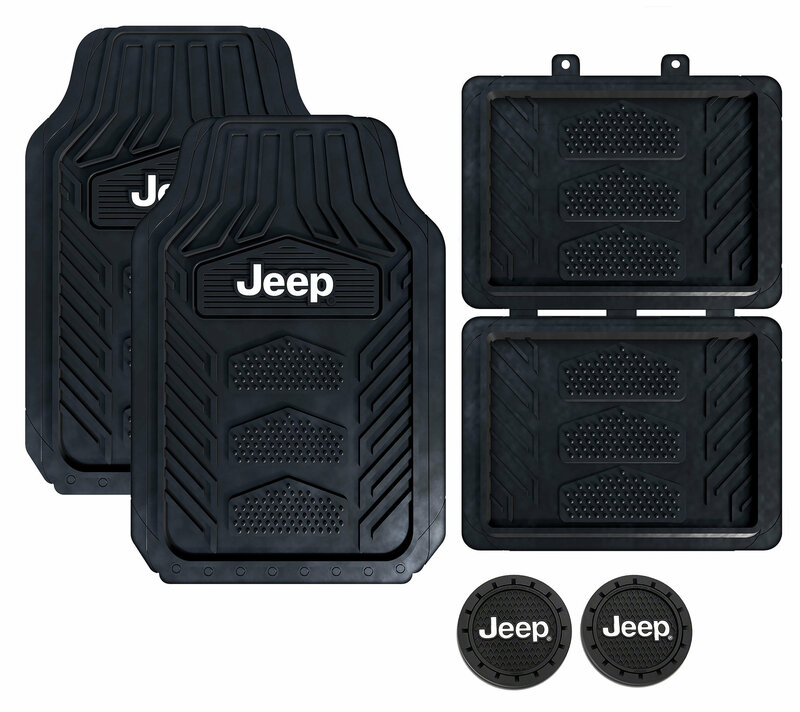 Protecting the footwell areas of your Jeep is easy with the WeatherPro Universal Jeep Logo Floor Mats. This 4-piece set will take care of protecting the front and rear footwells of the vehicle and install easily within minutes. The heavy-duty PVC material is extremely durable and can be easily washed clean with soap and water. The deep draft molded channels collect any debris and keep it within the confines of the floor mat, and not on your carpeting! This set of mats fits most vehicles with minor trimming required. A convenient floor anchor kit is supplied to utilize the factory floor anchors. 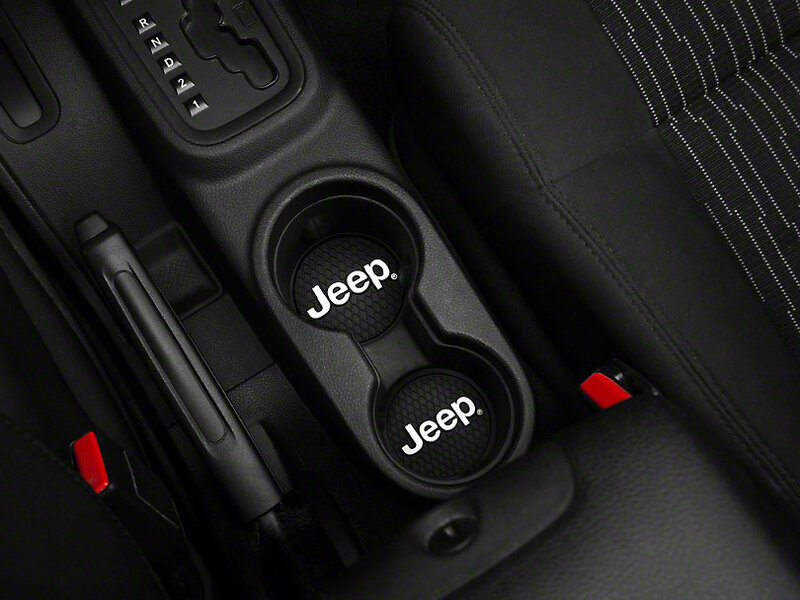 The included Jeep logo Coasters fit into the factory console cup holders. The coasters offer superior protection from any type of moisture that seeks to gum up your day and cupholder area. Made from dense PVC materials, these coasters easily fit at the base of your cupholders and can be cleaned with normal soap and water. Great for gifts and also perfect for parties, family dinners, or wherever you want to put that drink down. Heavy-Duty Protection: The WeatherPro Jeep Logo Floor Mats are designed to repel water, mud or any other debris that can be tracked inside the vehicle. Made from strong PVC material, these mats are built to last! Easy Installation: The mats are a Universal fit, that will install in most vehicles with minor trimming required for a precise fit. An anchor kit is included to make use of the factory floor anchors. Free Jeep Logo Coasters! 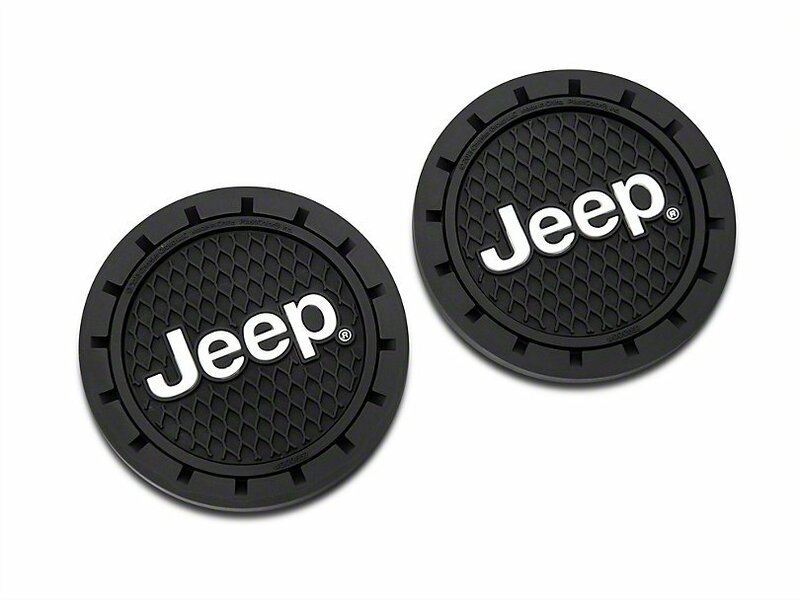 Receive a Free pair of Jeep logo Coasters with the purchase of the 4pc WeatherPro floor mats! These coasters fit into the factory cup holder locations, or can be used in your home as a waterproof coaster. Made of high strength PVC material for durability.